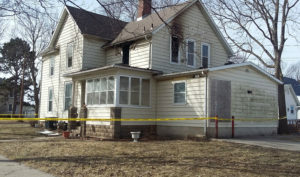 One person died and another was injured in a fire at this Webster City house. 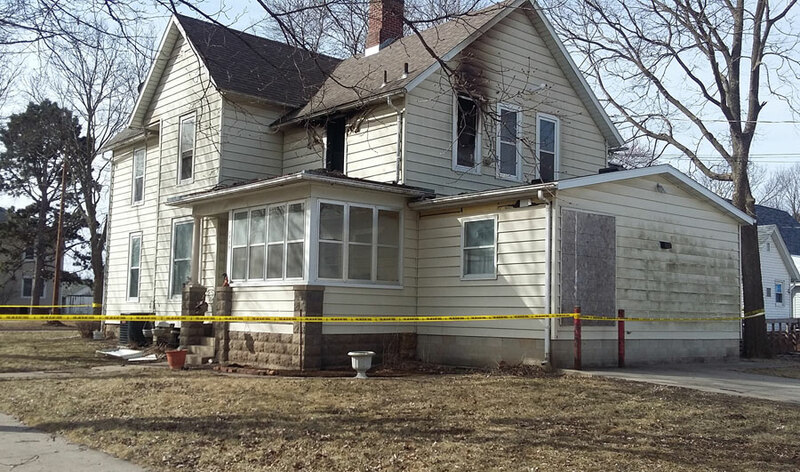 Investigators haven’t yet released the name of the man who was killed in a housefire in Webster City late Wednesday night. Fire Chief Chuck Stansfield says when first responders arrived at the home, the fire was well underway on the second floor. The cause of the fire isn’t yet known and the state fire marshal is looking into it.”It’s still undetermined at this time,” Stansfield says. “The origin is pretty clear, upstairs, back room. The cause is still under investigation.” He notes the house was originally a single-family dwelling that had been subdivided into a dual-occupany unit, one upstairs, one downstairs.